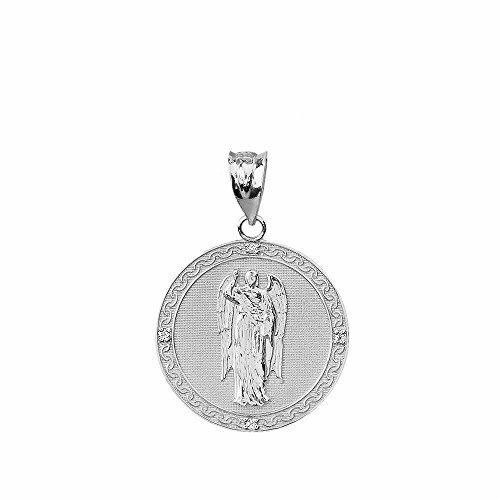 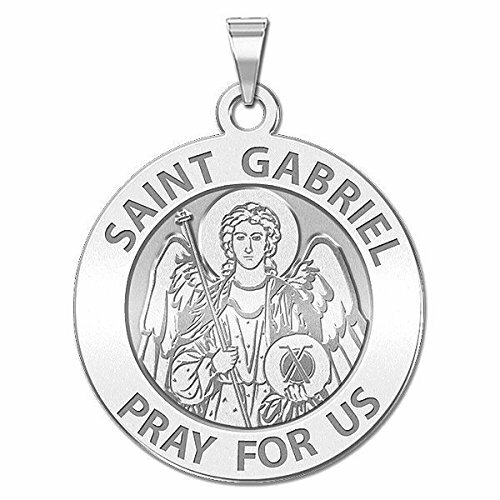 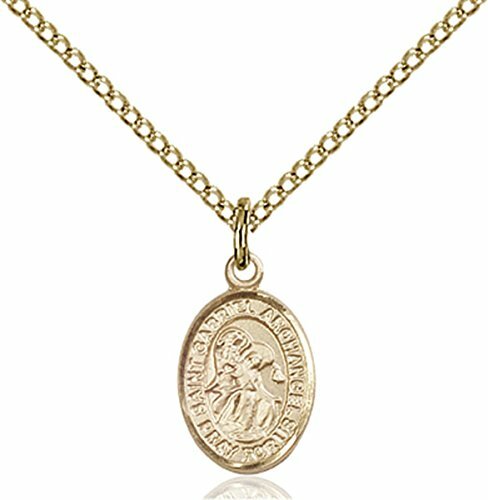 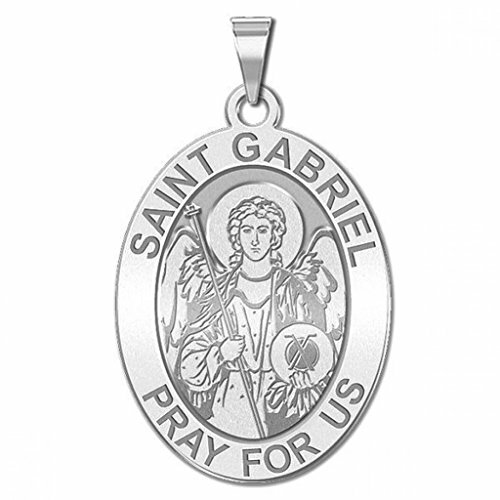 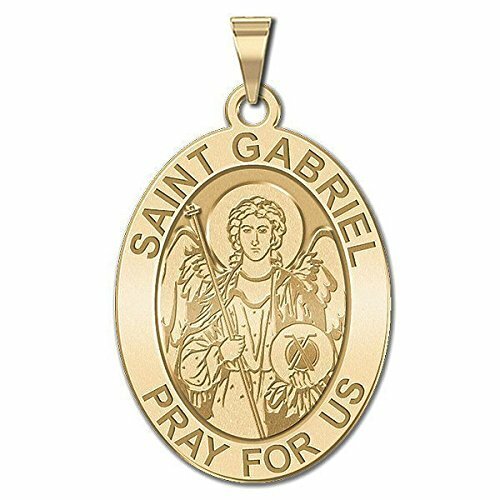 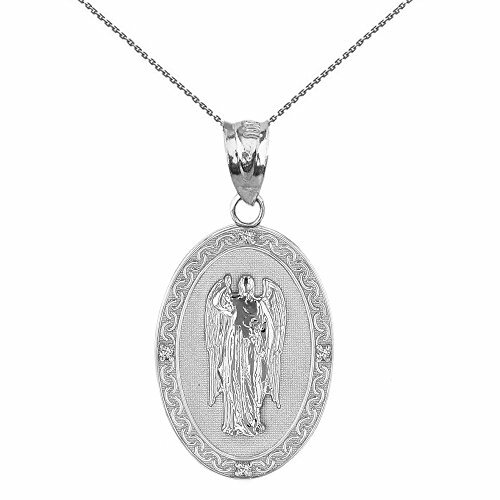 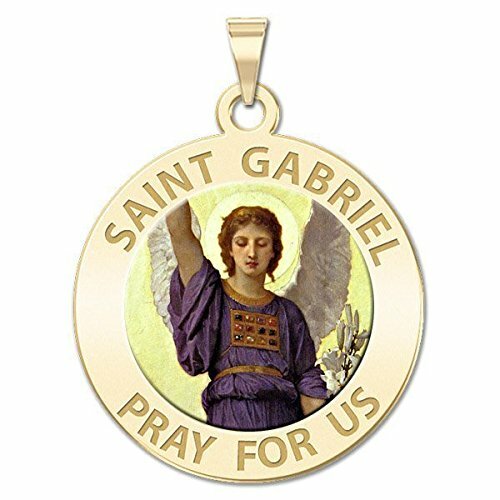 Sterling Silver Saint Gabriel The Archangel CZ Oval Medal Necklace (1"), 16"
Gold filled, also known as rolled gold is made up of a solid layer of 14 Karat Gold bonded with a base metal, such as brass, on both the front and back of the medal. 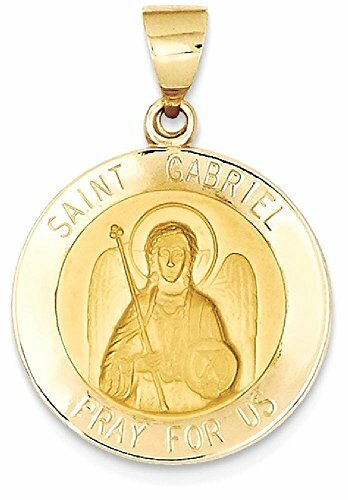 Total content of Gold is 1/20 of the weight of the medal. 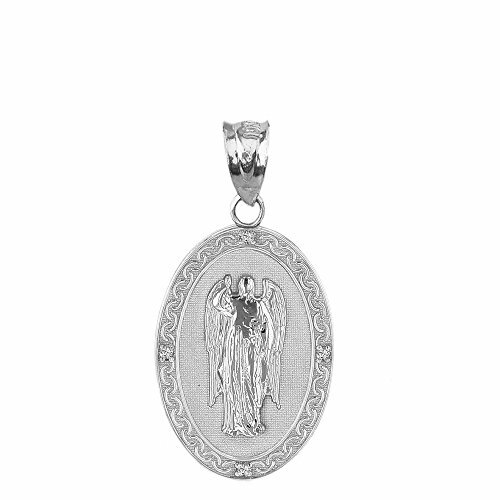 This line of Patron Saints by Bliss is manufactured in the USA, come furnished on a chain and presented in a jewelry gift box.